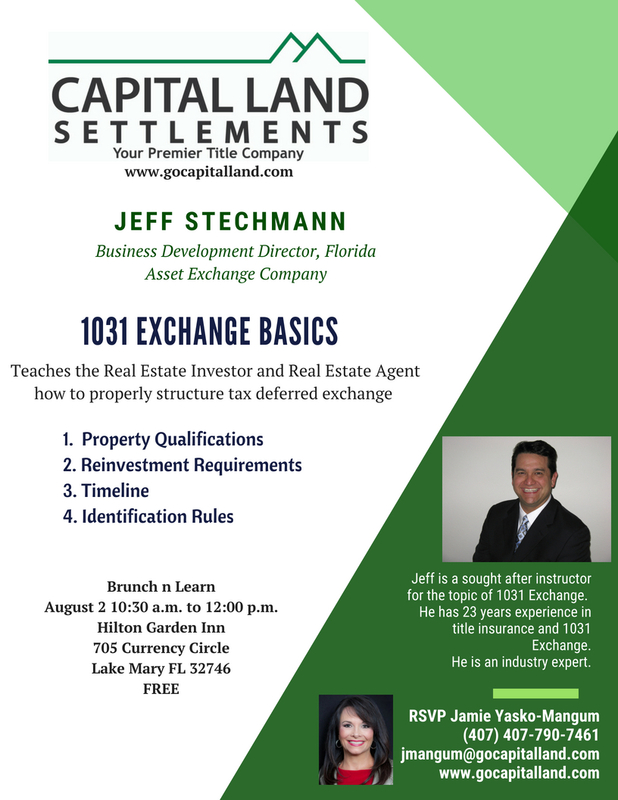 Join us August 2, 2018 from 10:30 a.m. to 12:00 p.m. for our 1031 Exchange Basics class presented by Jeff Stechmann with Asset Exchange Company. The class is packed full of great information!! It is free! Please arrive before 10:30 a.m. to check in, class starts at 10:30 a.m.